One of the first towns granted by Governor Benning Wentworth, South Hampton was chartered in 1742 from parts of Amesbury and Salisbury, Massachusetts. Over the years, the town lost territory to Hampton Falls, Seabrook, and Newton, but gained territory from East Kingston. At one time, the town was home to over twelve different religious sects. 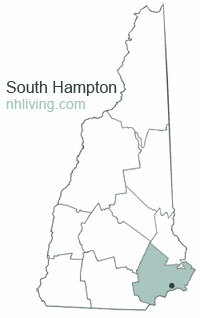 To share any South Hampton, NH information with us, please contact us. Learn more about advertising in NHLiving.